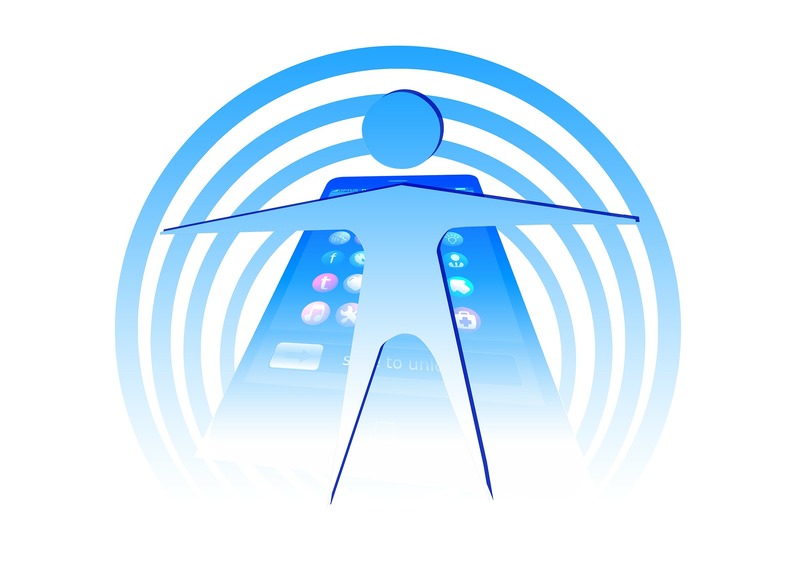 Exposure to radiofrequency (RF) radiation is classified as a Group 2B Possible Human Carcinogen by the International Agency for Research on Cancer at the WHO as of 2011. Many scientists who work in the field of EMR feel there is clear evidence of harm from long term, low level exposure to this pulsating and penetrating non-ionizing radiation which warrants an IARC upgrade to a Group 1 Known Carcinogen. Hardell and Carlsberg (2018). Reading the scientific literature can be confusing as there are different units of measurements (μW/cm2 μW/m2 W/m2,). In addition, harm from radio frequency exposure varies with power, distance, device, modulation (pulsations and wave design) and length of exposure. The peak power, not the averaged power, is what is key to injury. Key to Chart: * ** *** and Current Limits in U.S. The EUROPEAM EMF GUIDELINES 2016 for the prevention, diagnosis and treatment of EMF-related health problems and illnesses is based on the Austrian Medical Association Guidelines and gives an “overview of the current knowledge regarding EMF-related health risks and provides recommendations for the diagnosis, treatment and accessibility measures of EHS to improve and restore individual health outcomes as well as for the development of strategies for prevention.” List of scientific references given. Here are their recommendations. “The benchmarks listed are intended to be applied to individual types of radiation, e.g. GSM, UMTS, WiMAX, TETRA, radio, TV, DECT or WLAN, and refer to peak levels [not averaged levels]. The benchmarks do not apply to radar, which must be evaluated separately. Highly critical types of radiation, such as periodic signals (mobile telephony, DECT, WLAN, digital broadcasting…), should be critically evaluated, especially if levels are far above normal, while less critical types, such as non-pulsed or non-periodic signals (USW, shortwave, medium and long wave, analogue broadcasting), may be considered more leniently.” AMA- Here are the EUROPEAM EMF Guidelines 2016 EHS – PDF to print or download. *The benchmarks (potential-free measurement) are intended to be applied to the range up to and around 50 Hz; higher frequencies and distinct harmonics should be more critically evaluated. Environmental Health Trust also has a list of Key Policy Issues related to Exposure Guidelines here. This article points out that different long term exposure limits in different countries are due to their different models of reasoning. Heat: The U.S. uses science based studies but only those that examine heat based adverse effects. They do not take into account studies on non-thermal adverse effects. Non-Thermal Effects: Russia and China use science based studies on non-thermal effects. Russian National Committee of Non-Ionizing Radiation Protection – 2008 report: This sobering report discusses the need for exposure guidelines that protect children and the general population from chronic levels of radio frequency radiation. Effects of acute exposure to ultrahigh radiofrequency radiation on three antenna engineers. Schilling CJ. Occup Environ Med. 1997 Apr;54(4):281-4.